Gangtok, the capital city of Sikkim is located on a ridge at a height of 5500 feet. With a spectacular view of the Khangchendzonga, the town provides the perfect base for travel through the state. Peacefully nestled among the range of snow-capped lofty mountains, Darjeeling is synonymous with three Ts, Tea, Tiger Hill and Toy Train, combined together. It is fondly and justifiably nicknamed as ‘The Queen of the Hills’. Tiger Hill: Tiger Hill lying at an altitude of 2590 meters is a pristine natural beauty. One can enjoy the virgin charm of the queen of hills in its most attractive form. The morning fresh air can make you feel refreshing away from the banter of city life. The Darjeeling Himalayan Railway The toy train or The Darjeeling Himalayan Railway or the DHR is one of the most preferable things to do in Darjeeling. In the journey of the Darjeeling Himalayan Railway, one can see the amazing mountain views and breathe the fresh air of nature. Batasia Loop: Batasia Loop is situated at a distance of about 5 kilometers from Darjeeling is a lush green toy train pathway. The Batasia Loop has is its unmatched natural beauty and it is One of the most enchanting aspects of this place, which is a wonderful sight to behold. The Darjeeling Mall: The Chowrasta or the Darjeeling Mall Located on top of Nehru Road is the heart of Darjeeling town. Here you can lounge in the sun, watch the wonderful views of the mountain peaks and valleys, or can take a seat on one of the many benches along the periphery. Tsomgo Lake: The Tsomgo Lake, also popular as the Changu Lake, Located at the altitude of 12310 feet, is a water body made of a glacier. This lake is known for its natural beauty and the sight of the surrounding snow cover hills. Nathula Pass: Nathula Pass has a spectacular beauty of its own. To visit this place firstly you need to get permission from the army which needs to be done a day prior or two. You can simply enjoy the beauty, feel the purity of the air and the cleanliness and capture the magnificent beauty with your eyes. In India, nathula pass is one of the best places to visit. Ranka Monastery: Ranka Monastery is one of the best Monastery in Eastern India. In the shelter of Lord Buddha, You will feel peace and calm in the monastery. This monastery situated at an excellent location and for its location, you can get the magnificent views of the mountains. 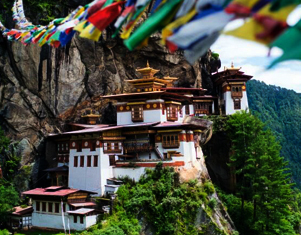 This monastery is all surrounded by forested mountains and this is the reason it claims to be one of the most picture perfect monasteries in Sikkim. Banjhakri Waterfalls: Banjhakri Waterfalls is about 7kms from Gangtok town this 100-foot banjhakri waterfall is situated in a landscaped park with the forested area, this waterfall is also close to Ranka Monastery. The theme of this park is based on Shaman culture and you can encounter with Sikkimese architecture visible all across the park. Here you can enjoy several adventure activities like rope climbing, boating and etc. Transfer all in private basis in Non AC Bolero / Sumo (8 Seater ). Does not include any Lunch Evening Tea/snacks dinner. Does not include Hard drinks or liquor or mineral water or soft drinks/juices. Does not include Entrance Fees at Monasteries / Monuments /Museums etc. Does not include specialized Guide.